Professions day committee – K.N.P.S.V. When you eventually receive your master’s degree after a minimum of 5 or 6 years, you will have some time to breath. No more sleepless nights or burn-outs, until the deadline for paying back your student loans slowly approaches. Now, you are running out of time to find a job to put food on the table. But what job is right for you and matches your interests? If this picture is not clear for you yet, we (the professions day commission) can help you. The professions day commission organizes a professions day once every two years. During this day students of pharmacy and (bio)pharmaceutical sciences can get acquainted with the different professional possibilities of the pharmaceutical world. There is a wide range of subjects covered by means of workshops and plenary lectures. This day is THE chance for every student to broaden his/her horizon and to delve into the different work fields. As the current profession day commission we are very proud to be the first interurban profession day commission within the K.N.P.S.V. 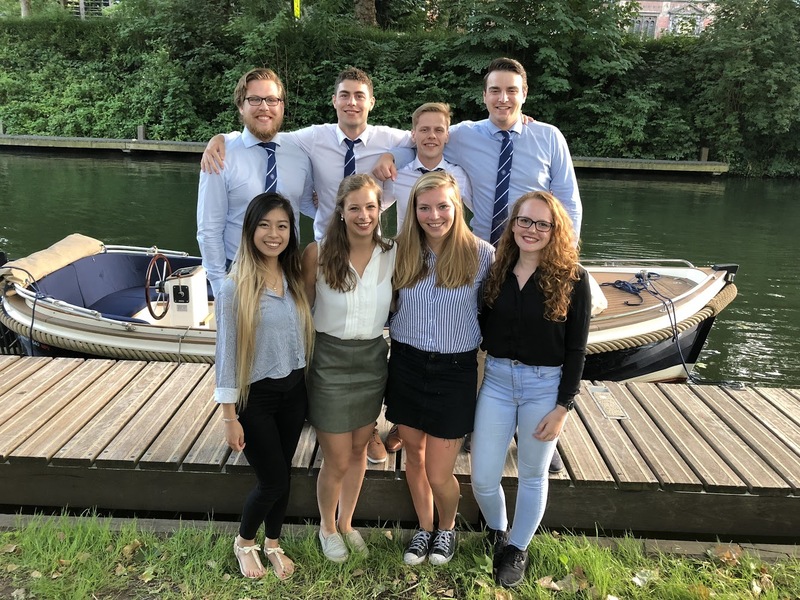 This means that the members of our committee are students of pharmacy and (bio)pharmaceutical sciences from Amsterdam, Groningen, Leiden and Utrecht. Our lovely commission exists of Anne Smit as our secretary, Frank van Ammelrooy and Tessa te Riele as treasurers, and a five headed commissariat consists of Bram Wagner, Hoang Lan Le, Suzanne Braam, Kobus Versteegh and Janine Nijhuis. Last but not least I may introduce myself as chairman of this beautiful and intensive pooling of effort. The profession day will take place on the 9th of November 2019. We hope to see you all there. h.t. Chairman of the Profession Day Commission of the K.N.P.S.V.